I dug up the last of the dahlias, and tackled my first attempt at dividing and storing. The results were not pretty. A bucket full of rejected bulbs (thin, soft, shriveled) stood at my side while a paltry number of possibly productive tubers emerged for labeling. I am thinking I don’t have a storage space to keep them at the recommended 45-50 degrees F. I am thinking could I not be spending my time better? I am thinking I need better tools. After digging and dividing, my fingernails black with compost, for who wants to wear gloves when one is already in the thick of it, I leaned back, and swore to forgo this bit of alchemical puttering in the future. But I loved the way Hamari’s Accord spread its pointy pale yellow blooms, and the Edinburgh kept flowering. Once again, I am uncertain where I will live in the fall, where I will write. I distracted myself with bulbs last month. I devoured rare tulip catalogues which offered twelve and twenty-eight dollar specimens which would yield one perfect bloom the first season, and more the following. These are legacy bulbs. I let my pocketbook rule, and opted for handfuls of the lower-priced and popular choices. Intuitively, I wanted to root, lay a semblance of permanence on rented ground. For two years I resisted planting roses thinking I was a temporary boarder at best until I rescued three end of the year throw-aways. 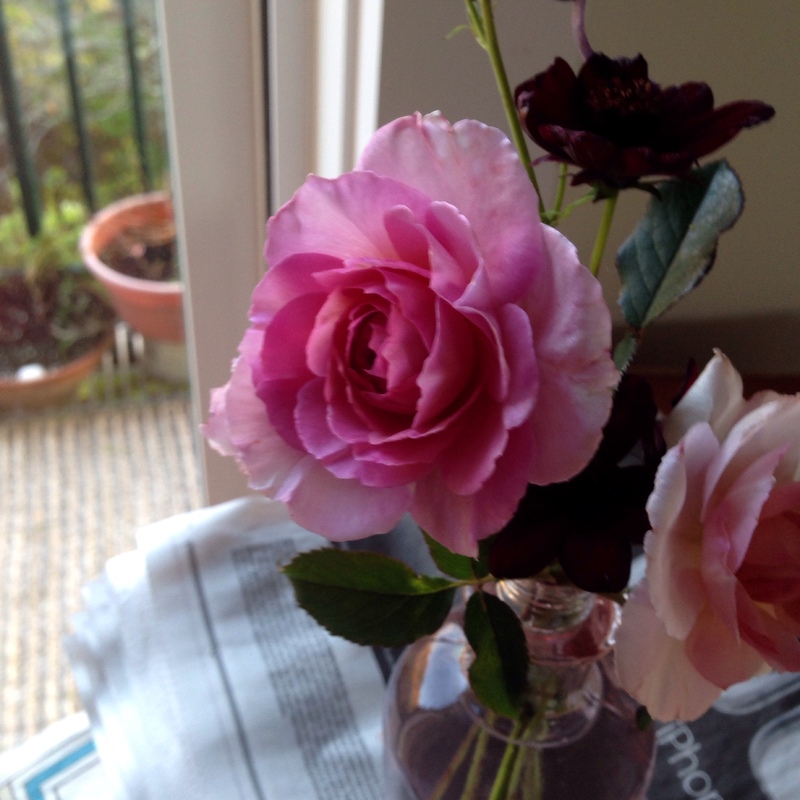 This fall, I bought an English Rose, David Austin’s James Galway, dreaming of Gertrude Jekyll and Constance Spry for the summer. Now the garden will rest, unless I get restless and plant a few more bulbs. I will let it rest as it gathers its strength, with roots growing quietly.